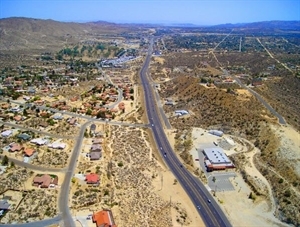 With a hometown atmosphere and an ideal location in Southern California's high desert about 35 minutes northeast of Palm Springs on Highway 62, Yucca Valley residents enjoy a climate and quality of life that is nearly impossible to match. Enjoying sunshine and clear skies more than 320 days a year, locals and visitors find an ideal environment to enjoy the open spaces, starry nights and many outdoor recreation opportunities. Visit Yucca Valley and you'll agree that this is a great place for recreation, to raise a family, to do business or to retire. The welcome sign is always out in this friendly hometown community. Recently chosen by the U.S. News and World Report as one of the top ten most affordable places to retire, Yahoo Travel voted top 10 sunrises on earth, and Yahoo Trip Travel voted #1 California Welcome Center. 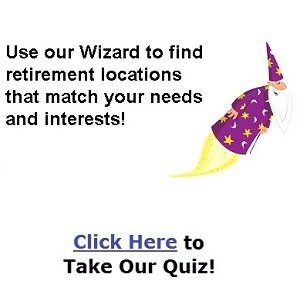 Yucca Valley needs to be on your list as a great place to explore when planning your future retirement. Includes Cities/Towns: Joshua Tree, Landers, Morongo Valley, Pioneertown, Twentynine Palms, Yucca Valley. Conveniently located within a short drive of many of Southern California's resort destinations, Yucca Valley residents have easy access to Palm Springs, the Colorado River recreation areas, the Big Bear mountain resorts and the Joshua Tree National Park. The world's largest Marine Corps base is just 25 miles away in neighboring Twentynine Palms. The Joshua Tree National Park, is on Yucca Valley's southern border. The incredible night sky, unique natural surroundings and delightful rural nature of the town have made Yucca Valley a favorite destination of equestrians, stargazers, photographers and nature enthusiasts. The abundant flora and fauna complement an active lifestyle in a small town setting. Charming shops dot both sides of the highway, inviting shoppers and history buffs to meander through the arts and antiques of collectors and artists at work. Take a stroll through the Sky Village Outdoor Marketplace there you’ll find an authentic Gold Camp Mining Town. Annual Open Studio Art Tours, Summer outdoor music concerts, Joshua Tree Film Festival, lectures and museum exhibits, Joshua Tree Philharmonic concert series, and two theatrical venues with live performances year round. Morongo Basin Transit Authority has regular bus service throughout the Joshua Tree Gateway Communities and has Park and Ride service for commuting to the low desert communities of Palm Springs, Palm Desert, and the Coachella Valley. A modern, nonprofit 59-bed acute primary care hospital is located on the principal campus of the Hi-Desert Medical Center. Services include a wide range of quality inpatient and outpatient diagnostic, treatment and rehabilitation services, home health and hospice services, and a variety of community outreach services. Our area also has a Special Editions Family Birthing Center at the hospital, Valley Star Crisis Walk-in Center, High Desert Physical Rehabilitation Group, Center for Healthy Generations, and Partners in Wellness. Jan 31.3 F° 44.5 F° 57.6 F° 2.0 "
Feb 33.8 F° 47.8 F° 61.8 F° 2.1 "
Mar 37.2 F° 51.9 F° 66.5 F° 1.7 "
Apr 42.3 F° 58.1 F° 74.0 F° 0.4 "
May 49.3 F° 65.8 F° 82.3 F° 0.3 "
Jun 56.7 F° 74.3 F° 92.0 F° 0.1 "
Jul 62.7 F° 79.7 F° 96.7 F° 0.6 "
Aug 61.9 F° 78.4 F° 94.8 F° 0.8 "
Sep 55.8 F° 72.3 F° 88.9 F° 0.5 "
Oct 45.8 F° 62.1 F° 78.4 F° 0.4 "
Nov 36.1 F° 51.1 F° 66.1 F° 0.7 "
Dec 31.0 F° 44.8 F° 58.5 F° 1.3 "
Spring temperatures are cool with averages in the upper 50's and highs in the mid 70's. Nights are cold with lows in the low 40's. Summer temperatures are warm with averages in the upper 70's and highs in the mid 90's. Nights are cool with lows in the low 60's. Fall temperatures are cool with averages in the low 60's and highs in the upper 70's. Nights are cold with lows in the mid 40's. Winter temperatures are cold with averages in the mid 40's and highs in the upper 50's. Nights are cold with lows in the low 30's. Condos Over 50 Communities Low income housing for seniors, gated communities for adults 55 and older, and 5 mobile home parks for year round living. Vacation Rentals now dot the community with affordable prices for families, couples, group reunions and the horse community. Call the Yucca Valley Chamber of Commerce at 760-365-6323 for local volunteer and job opportunities.